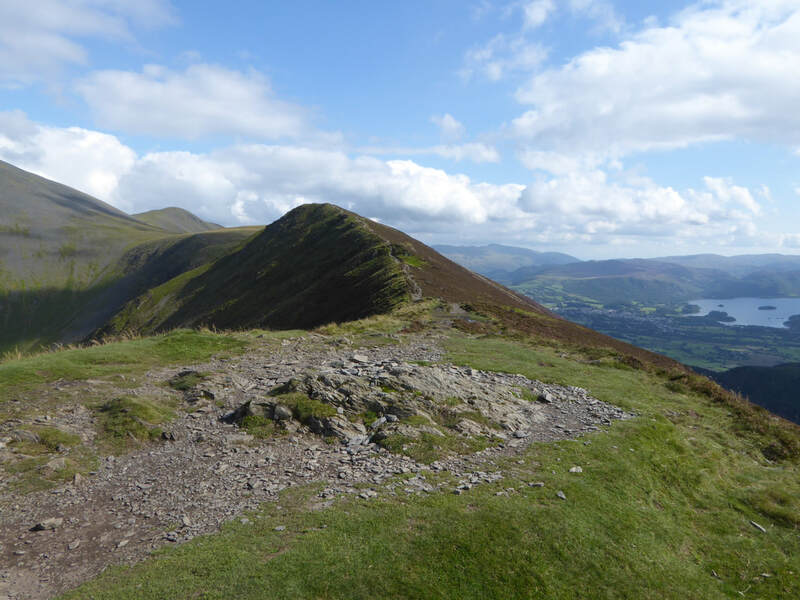 Plenty in Keswick - both expensive & free. 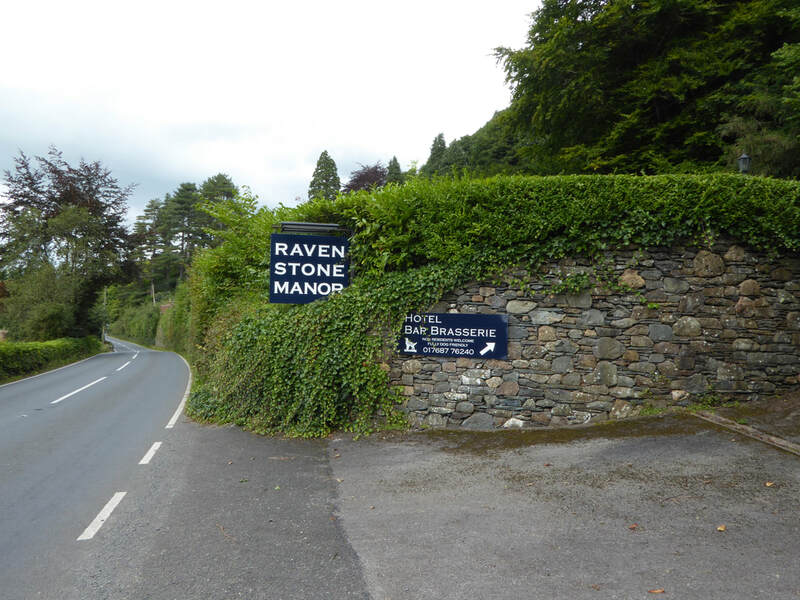 We caught the 554 Bus from Keswick to Raven Stone Manor. 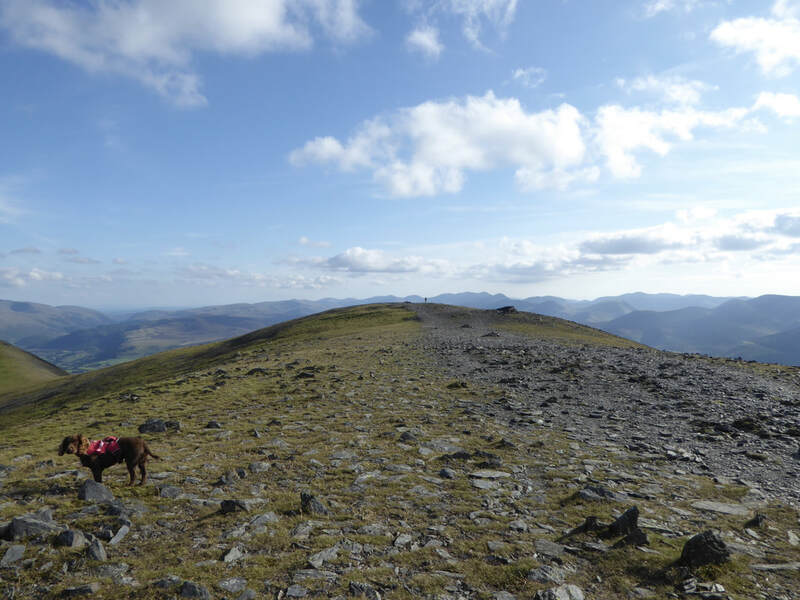 Good mountain paths & ridge walking. 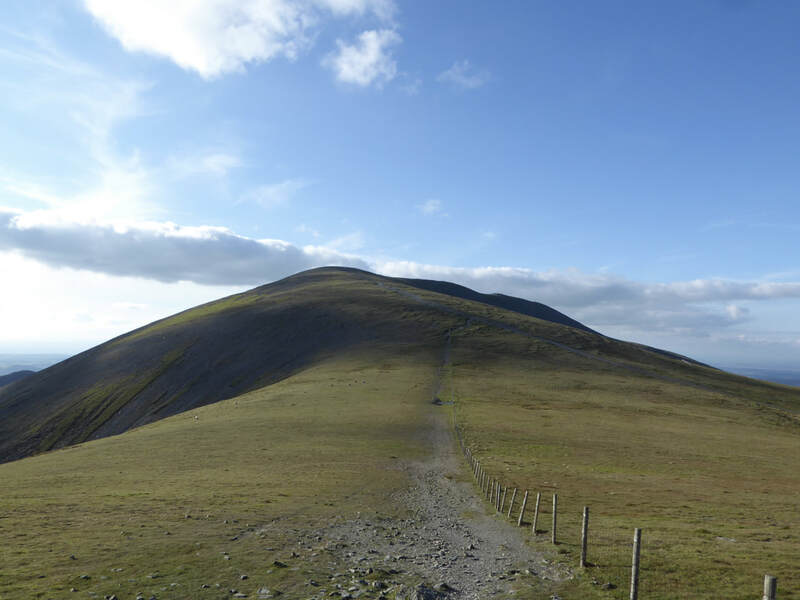 The path from Carl Side to Skiddaw is steep for the final 150 yards and contains loose stone but is not overly difficult in dry conditions. 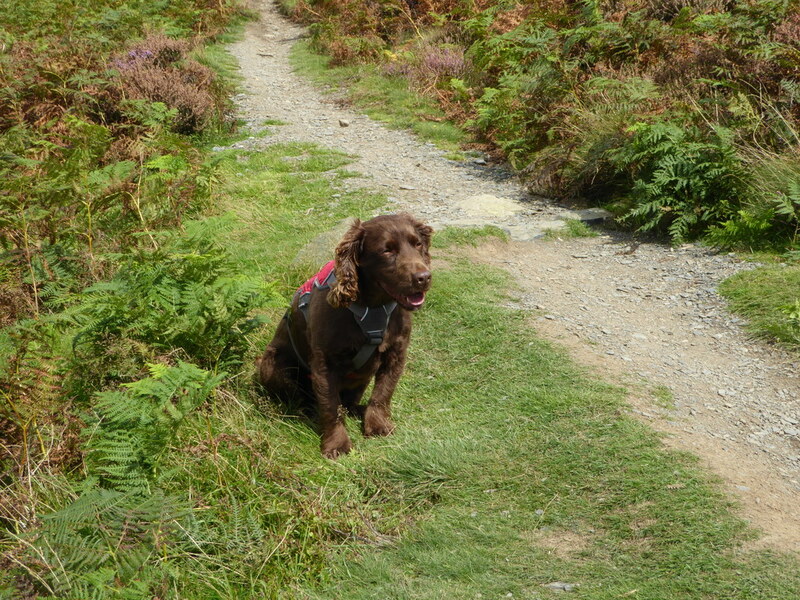 After a lot of rain and in ice & snow this path is best left alone. 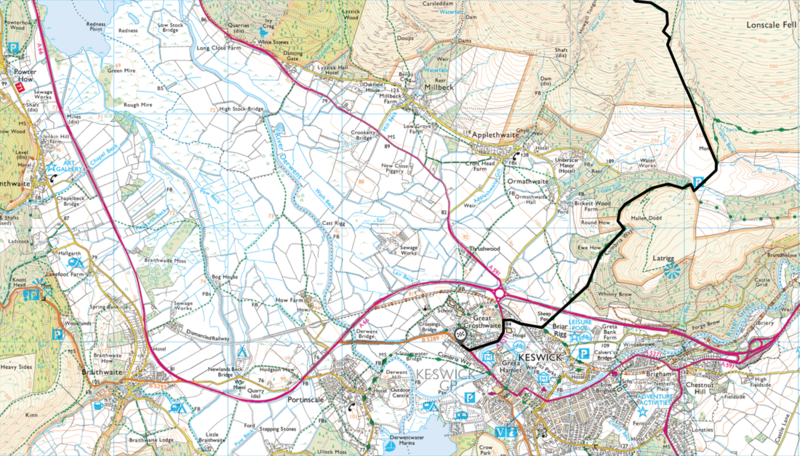 It is always nice to use public transport now and then and do a linear walk. 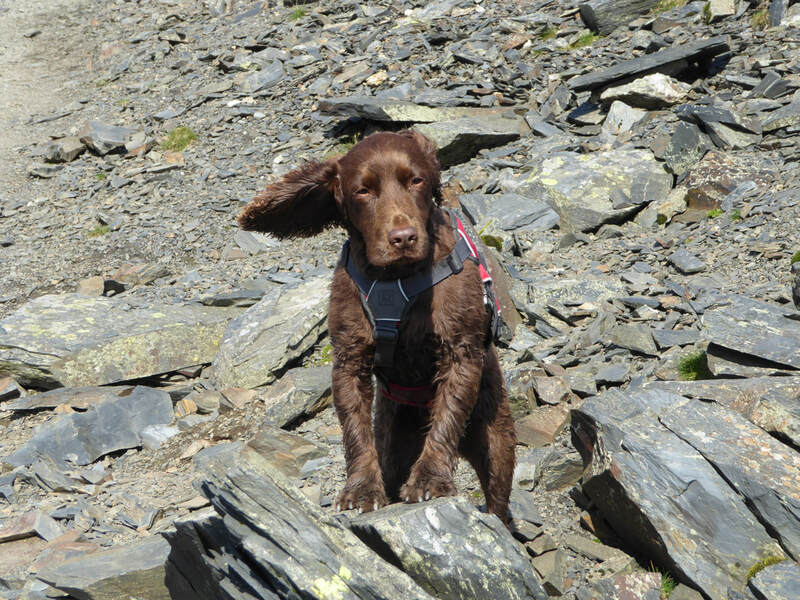 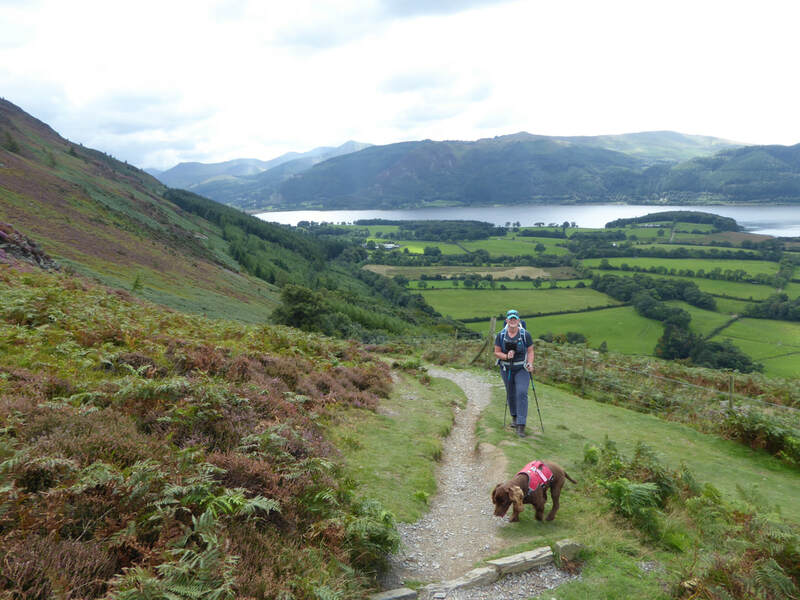 Luckily there are plenty of options to do this in the Lake District and today's walk was one of them. 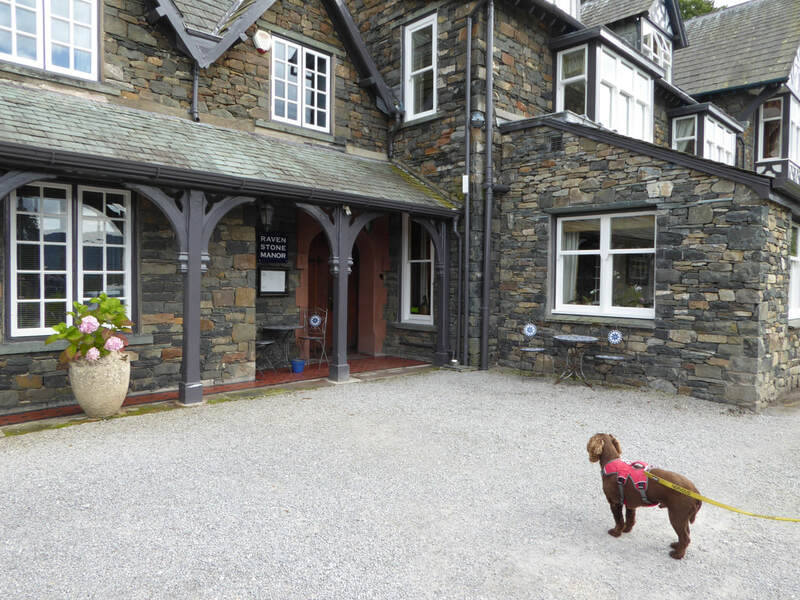 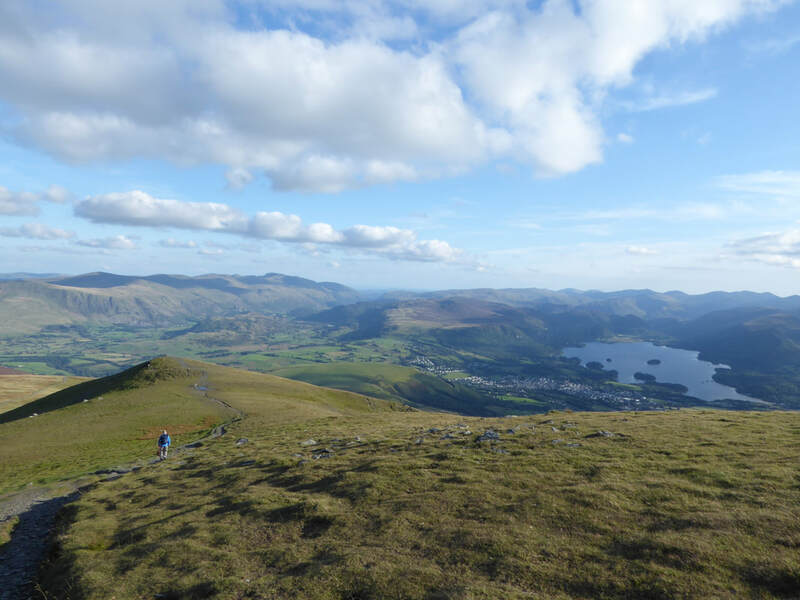 Parking our car in Keswick and after a spot of lunch at The Filling Station, we caught the 554 bus out to the Raven Stone Manor Hotel to the start of the walk - a lovely bimble taking in the fells of Ullock Pike, Long Side, Carl Side & the Skiddaw summits. 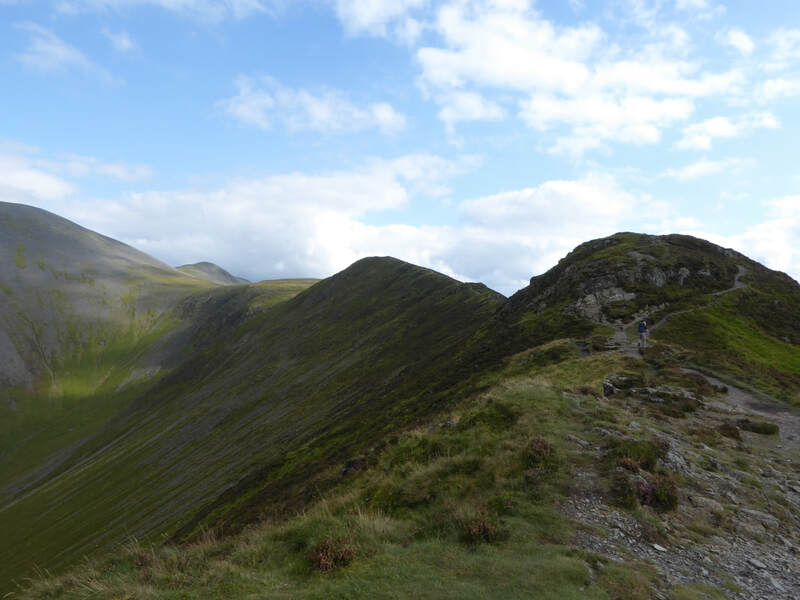 This is a classic ridge walk and one you can never tire of. 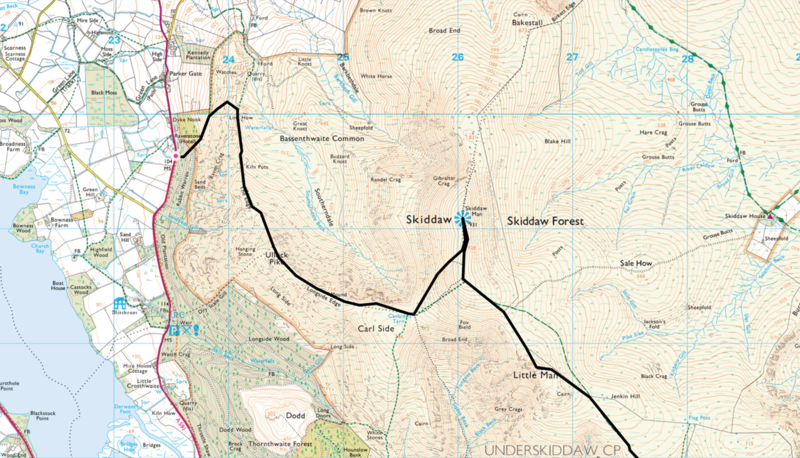 From the Hotel a path leads through Rabbit Warren Wood to reach the lower slopes of Ling How. 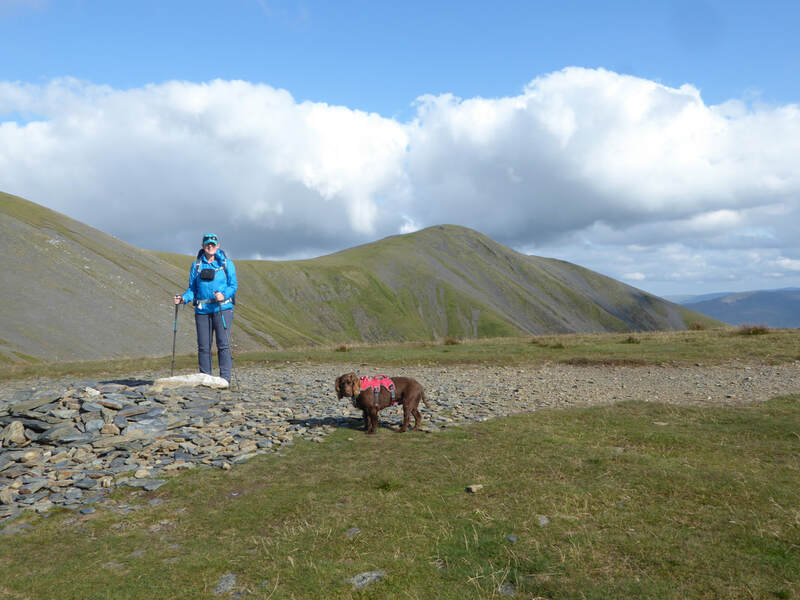 At the col between Ling How & Watches the climbing begins - a lovely ascent on a gradual incline along the ridge known as The Edge (nothing to do with U2's lead guitarist). 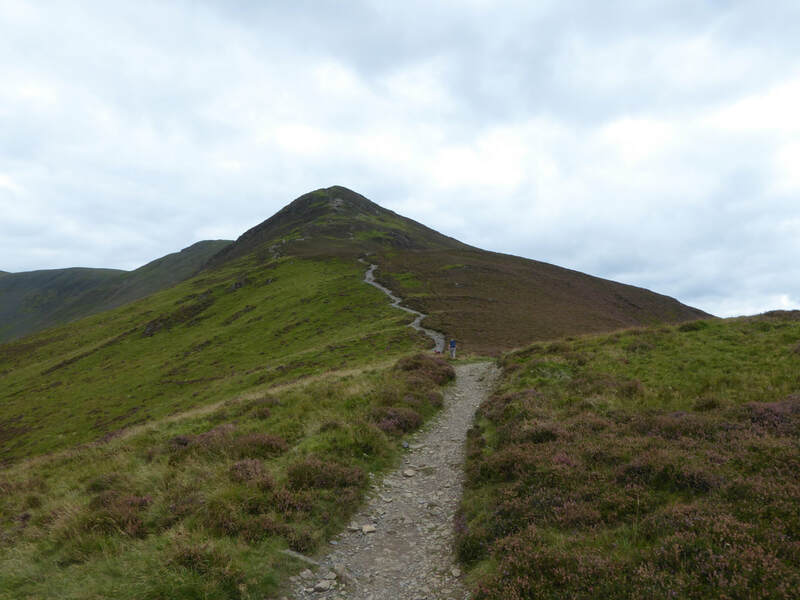 The gradient steepens as height is gained and what most people think is the summit of Ullock Pike appears - although it isn't! 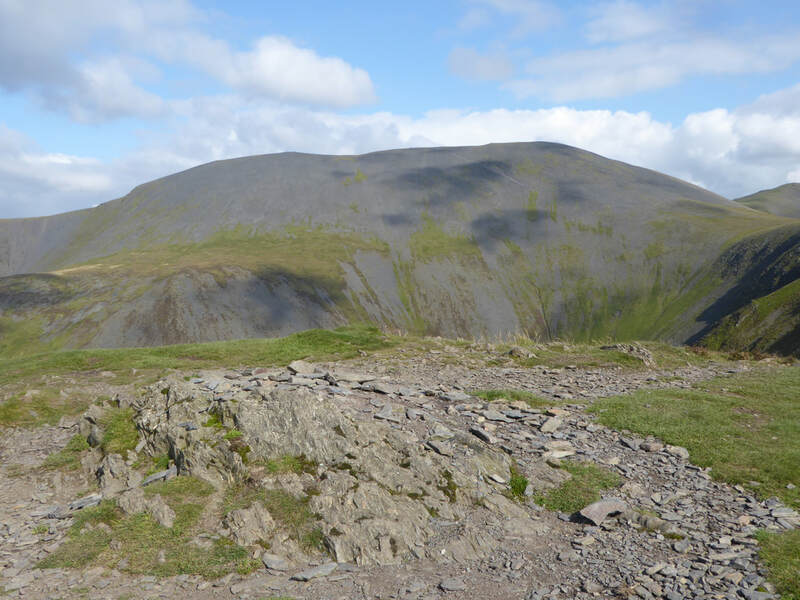 - the summit is a bit further on but not far. 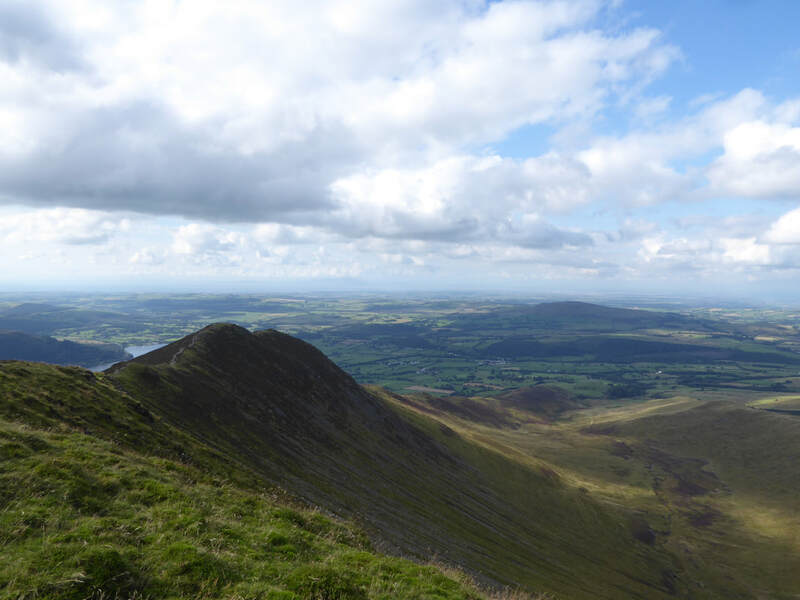 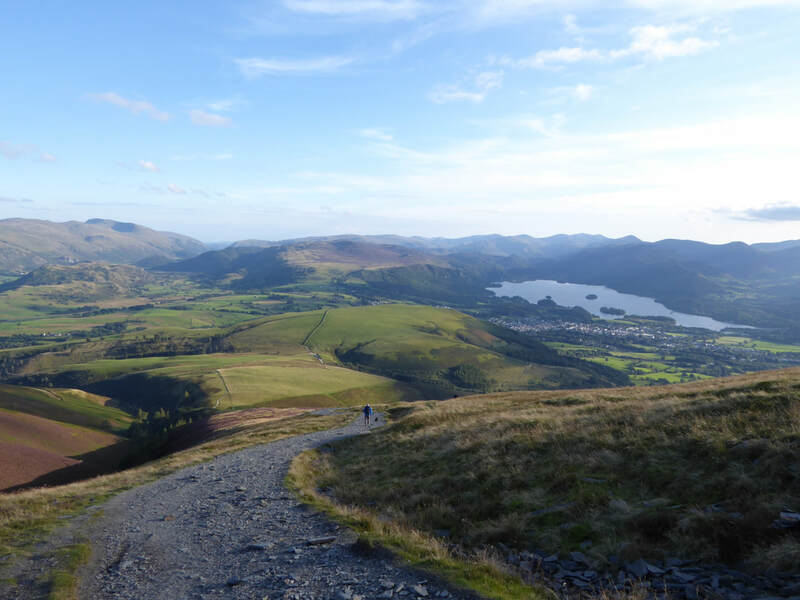 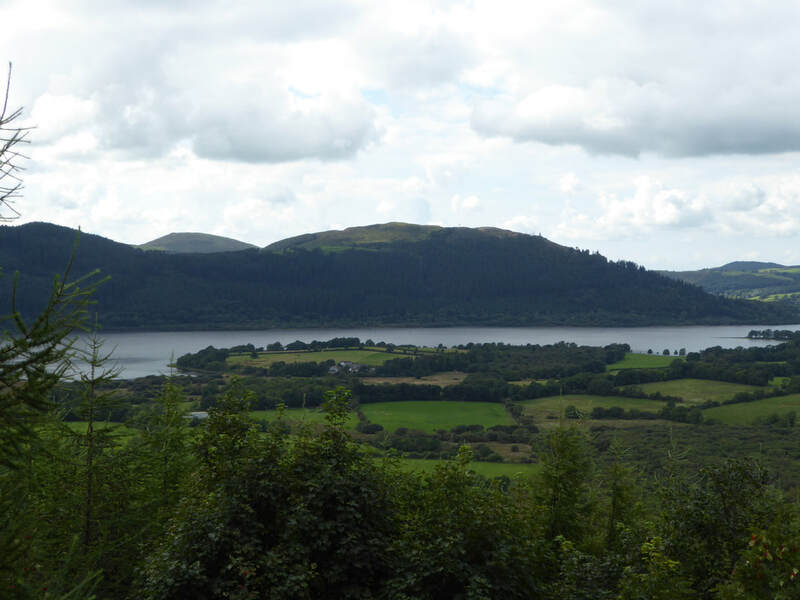 Ullock Pike gives superb views over both Bassenthwaite Lake and Derwent Water as well as the next summit of Long Side which is reached a little further along the ridge. 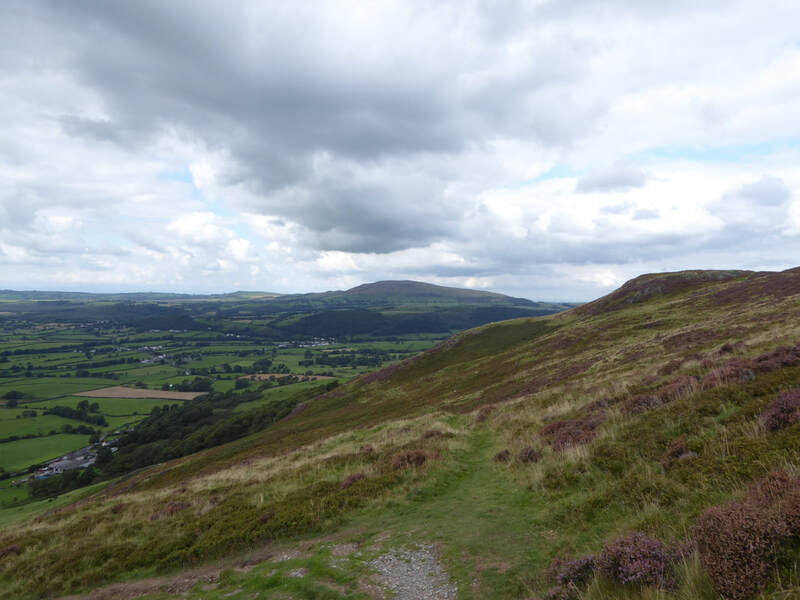 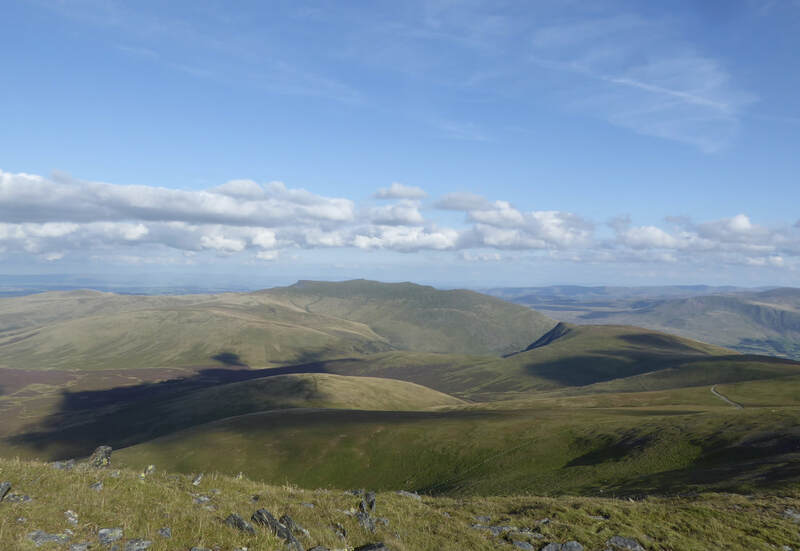 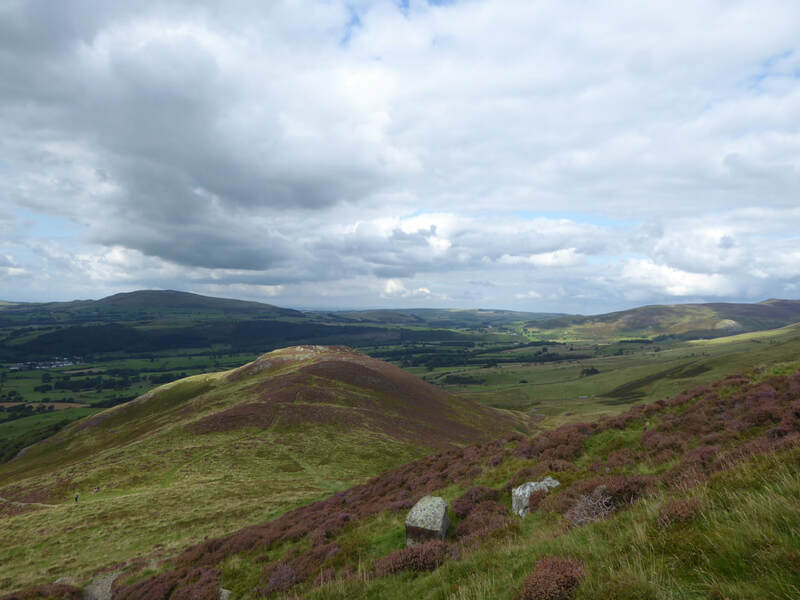 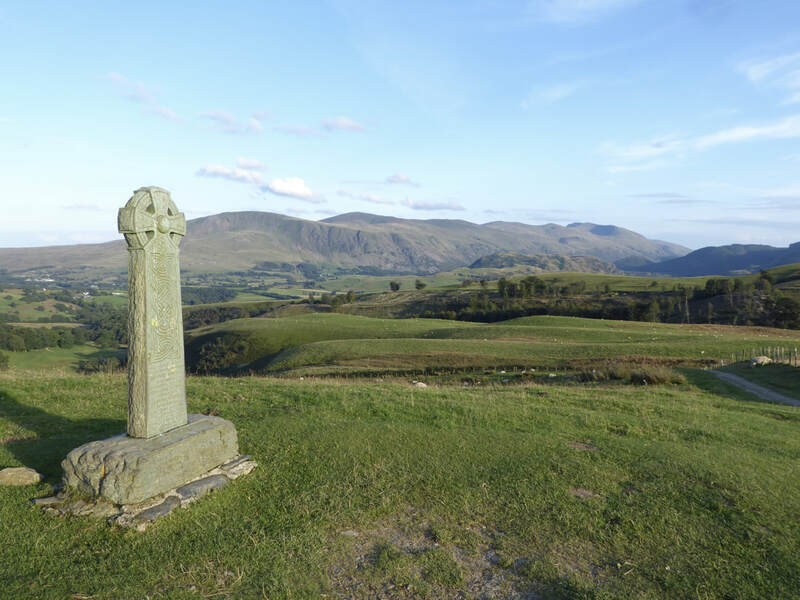 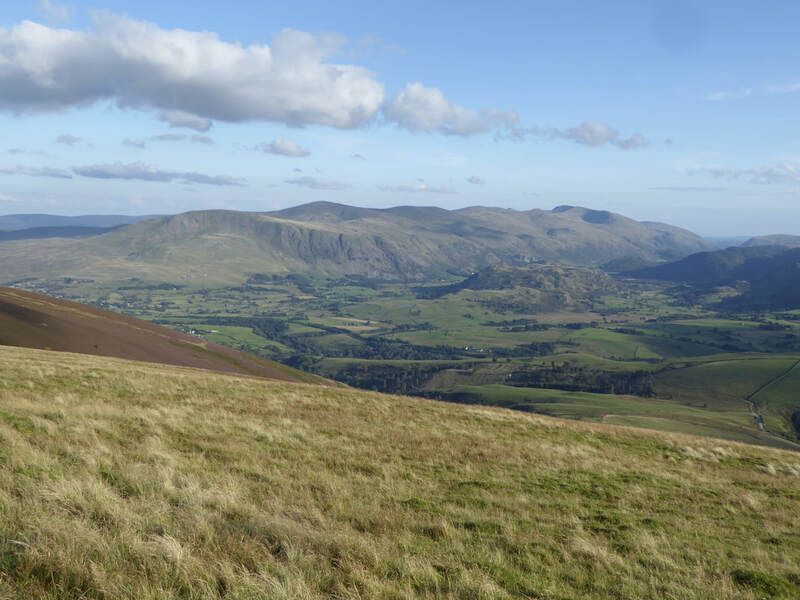 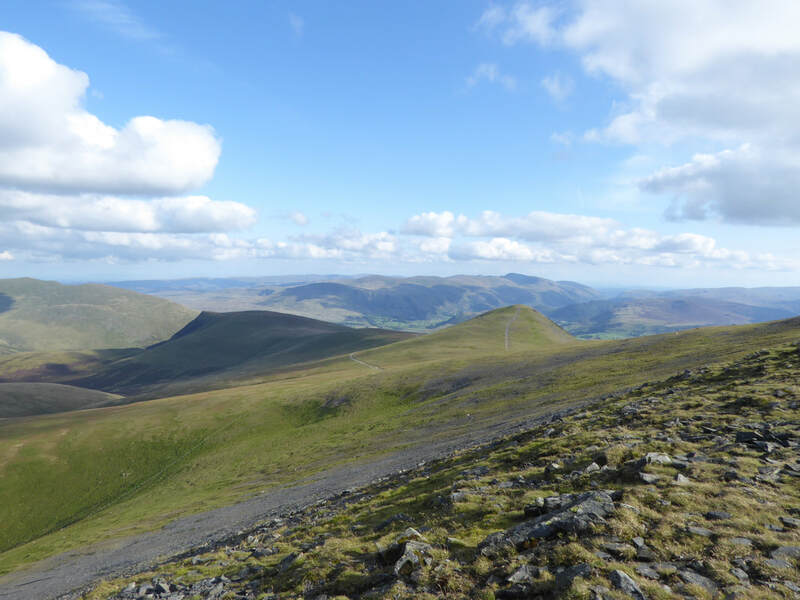 This is exhilarating walking along an airy ridge that gives glorious views all around, particularly over to the Skiddaw Massif. 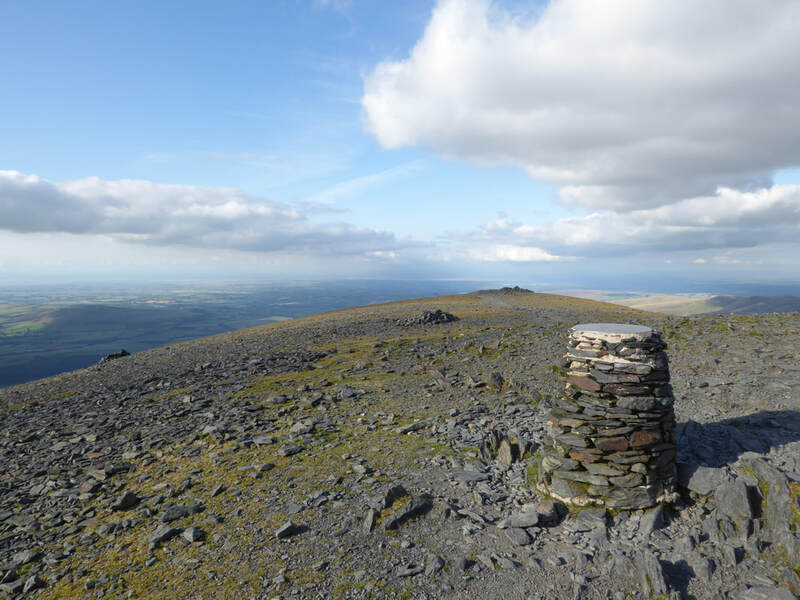 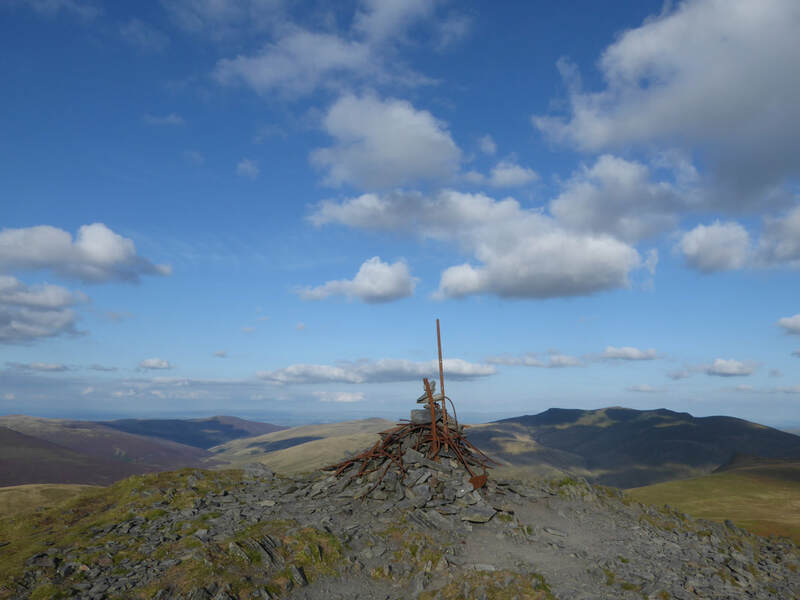 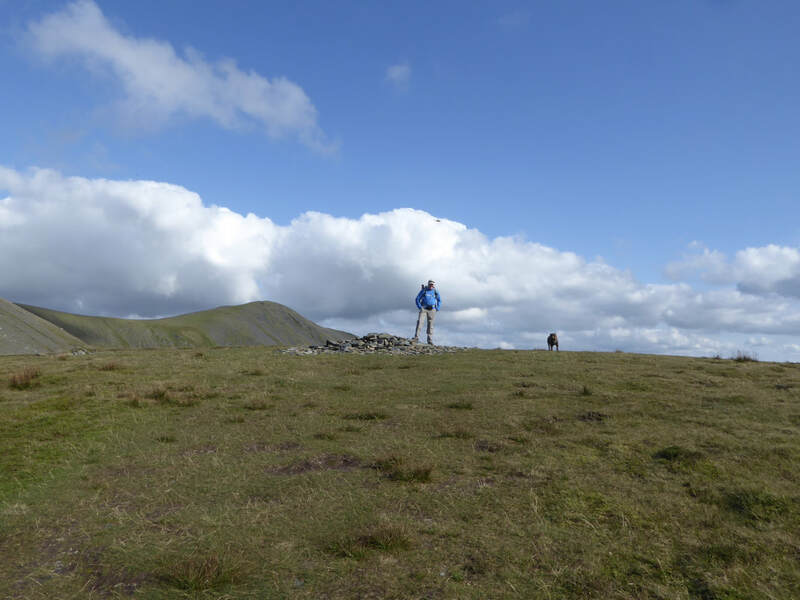 From Long Side it is an easy walk over to Carl Side and on the way there is an option to omit this summit and head to the col at Carlside Tarn from where the path to Skiddaw begins - the path is visible all the way along the ridge and looks easy enough from afar. 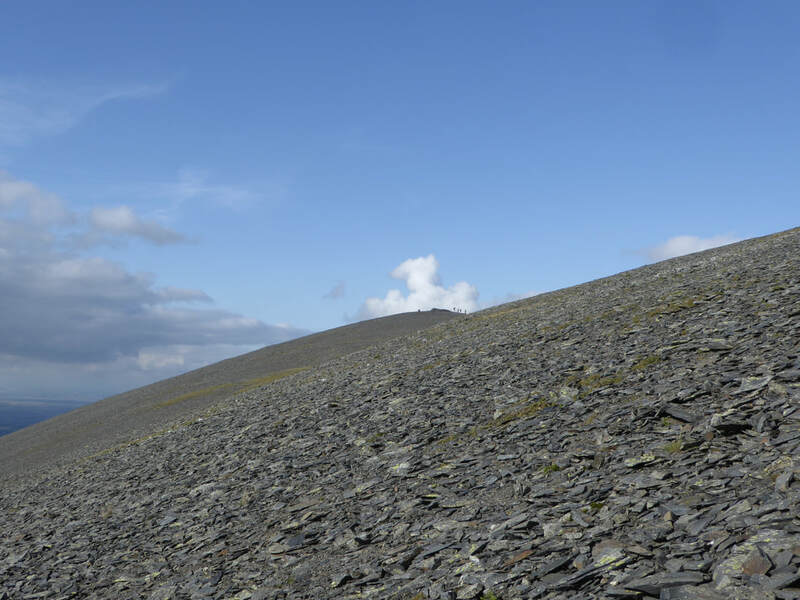 From the tarn, the path rises gently on loose stone, increases in gradient then for the last 200 yards it steepens markedly. 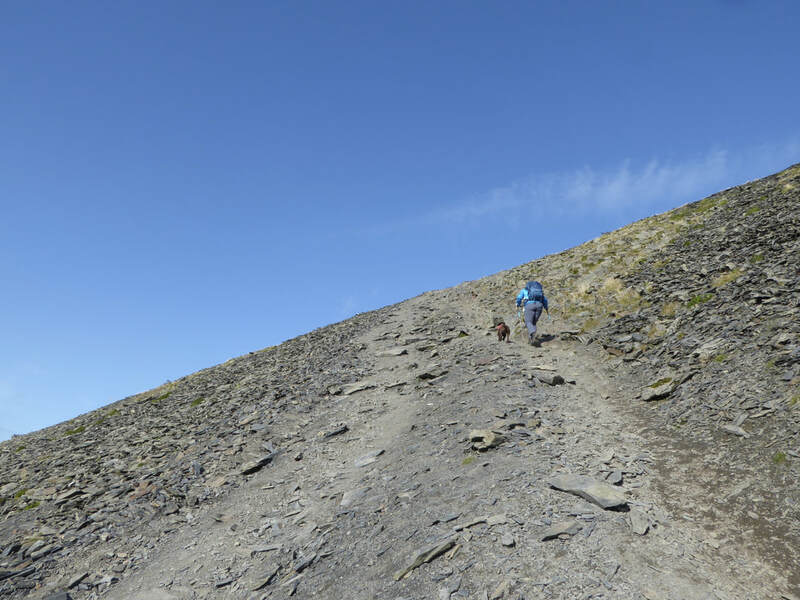 In normal and dry conditions it is simply a question of taking your time to negotiate the scree and steepness however in snow and ice this would be a difficult ascent without proper equipment. 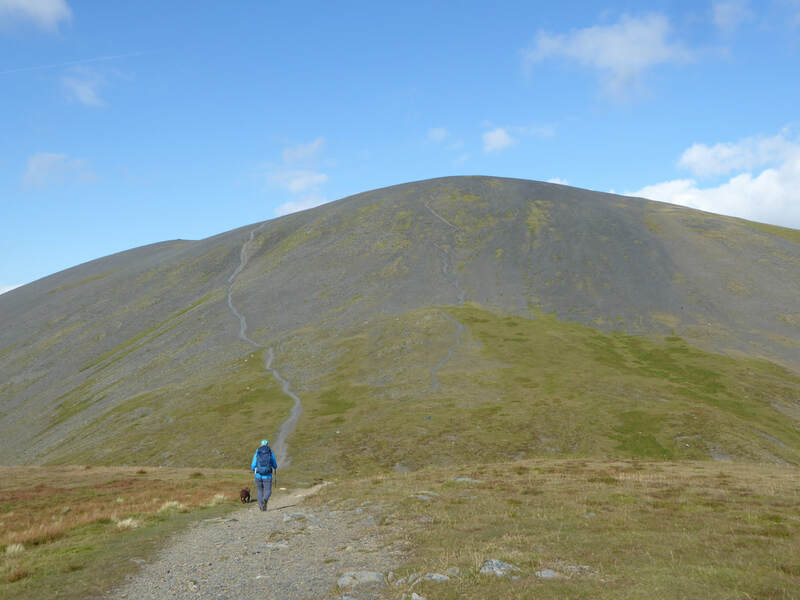 All in all, this is a glorious path and is a delightful way to attain the summit ridge of Skiddaw. 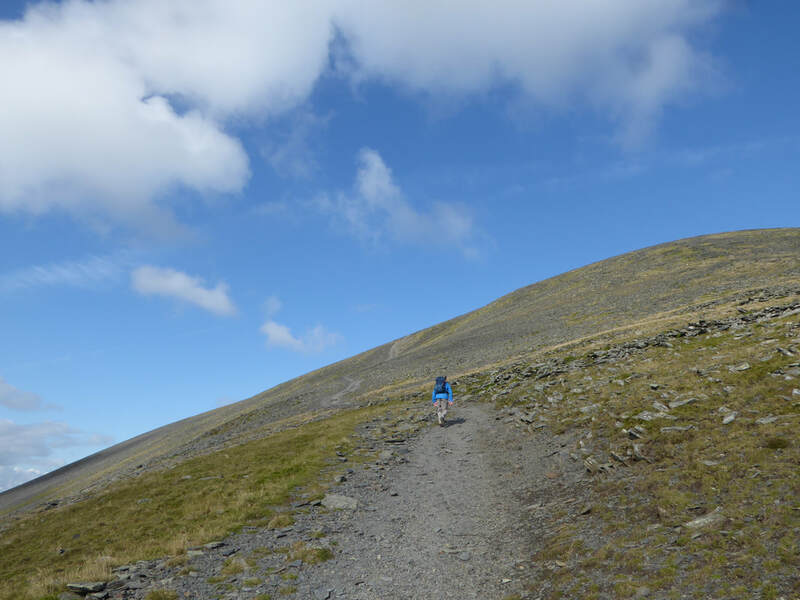 Reaching the summit ridge we had the mountain to ourselves and turning to the North made the easy transit to Skiddaw's summit. 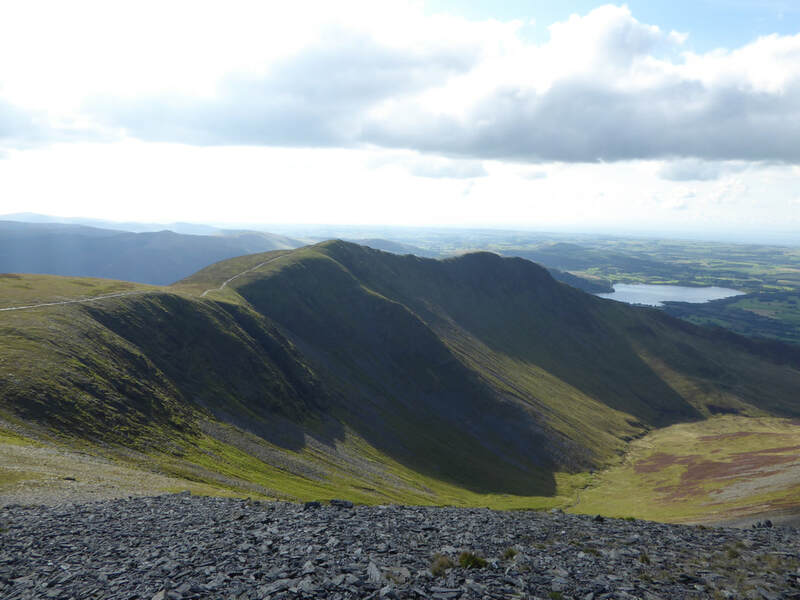 The weather and visibility were excellent on the ridge and made a nice change - most of our climbs to Skiddaw have been in a thick grey soup with no visibility whatsoever however today made up for that. 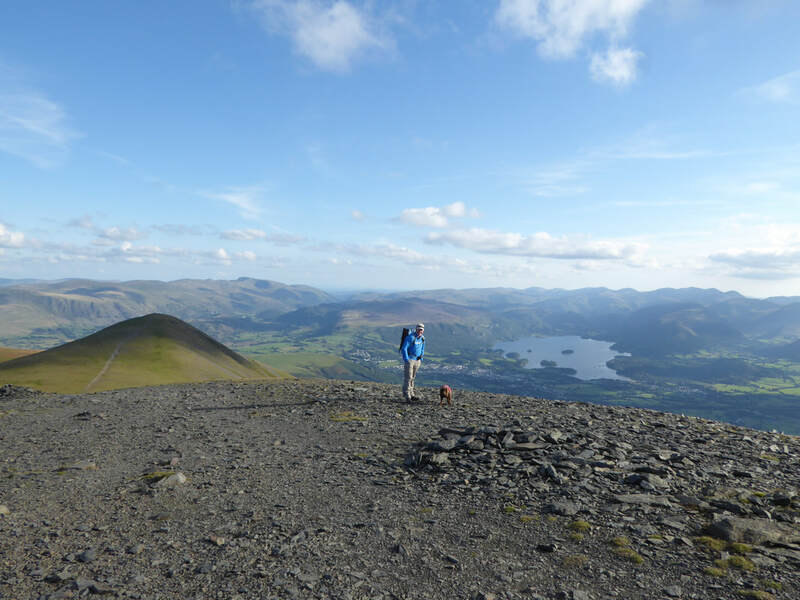 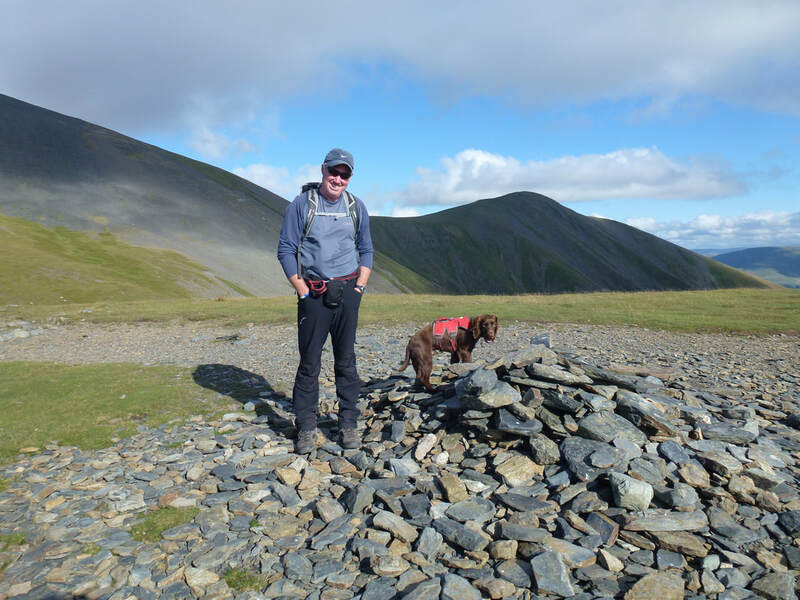 Retracing our steps, we now headed due south to pass over Skiddaw's South Top, Little Man & Lesser Man summits - superb ridge walking giving outstanding views over to Keswick and across to Blencathra. 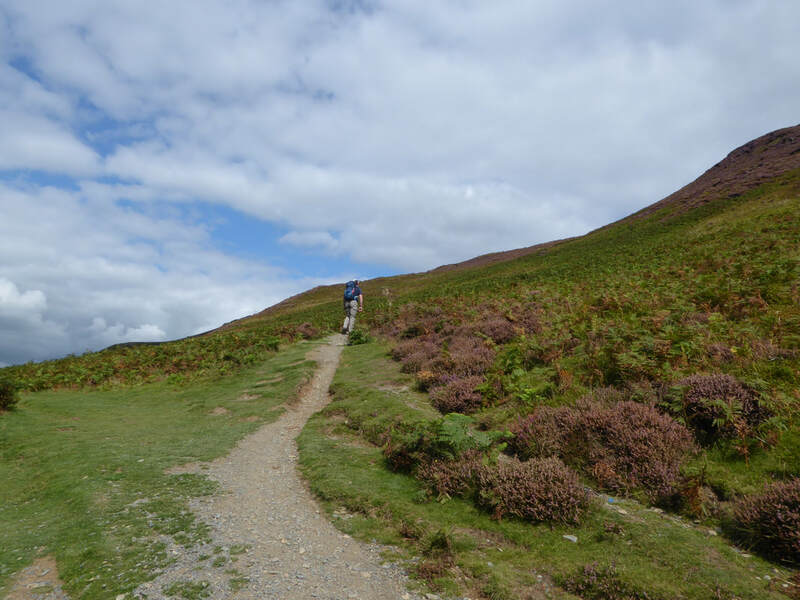 From Lesser Man the path starts to descend quite rapidly and we soon passed the Hawell Monument to shortly arrive at the Gale Road Car Park. 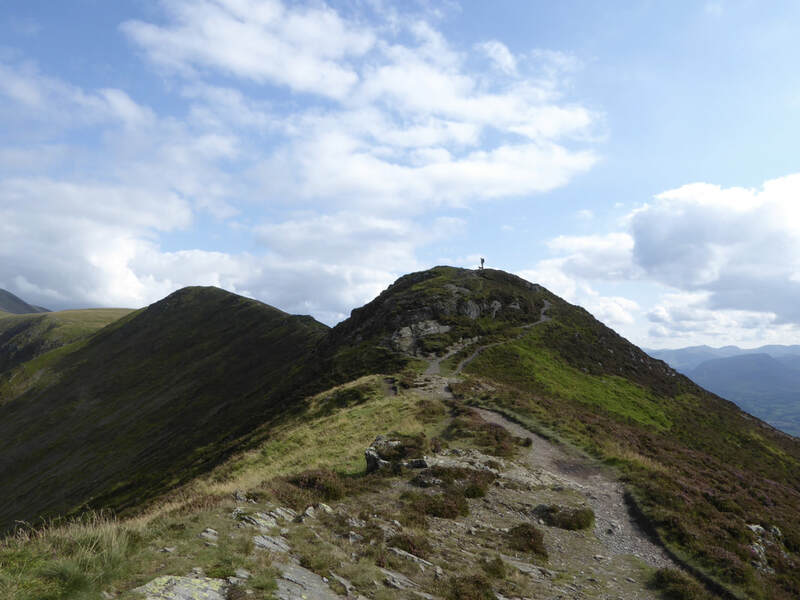 From the Car Park we joined the Cumbria Way which delivered us back into Keswick via Briar Rigg. 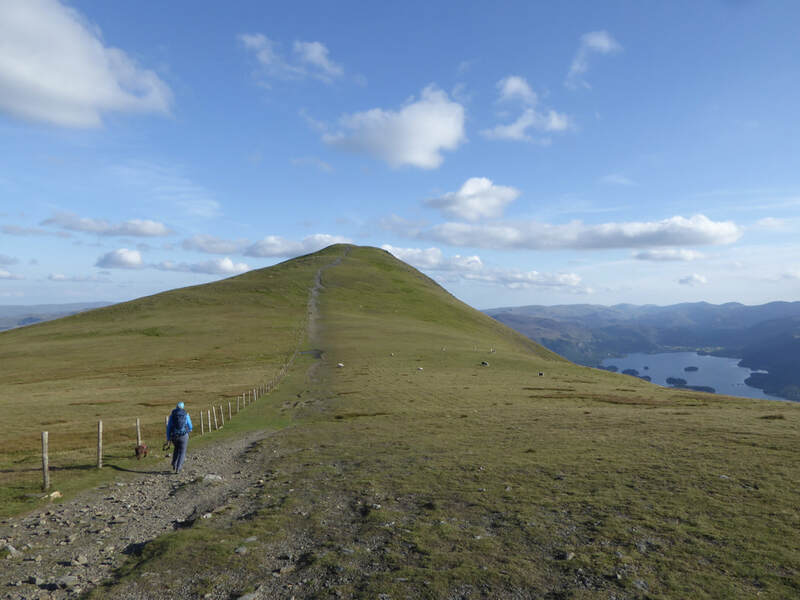 This is a glorious walk and one of our favourites. 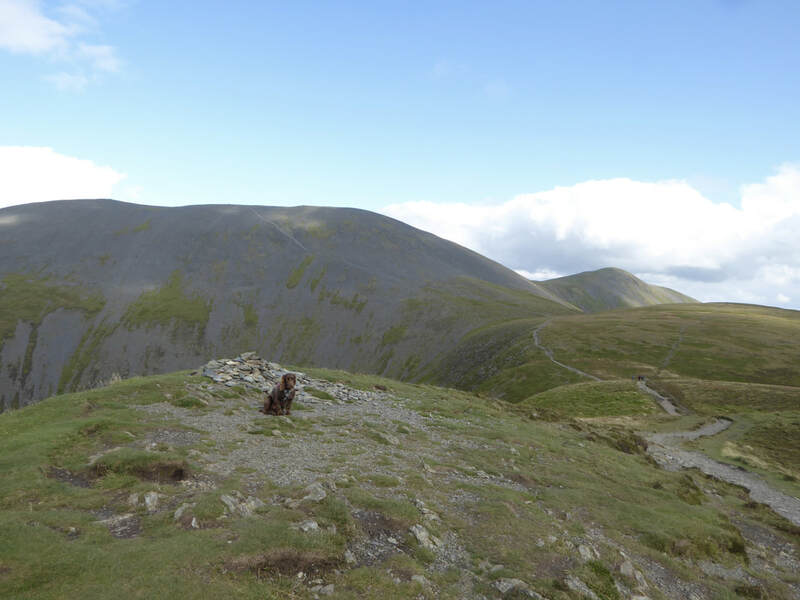 It is best completed when the crowds have gone home and you can have the ridges to yourself. 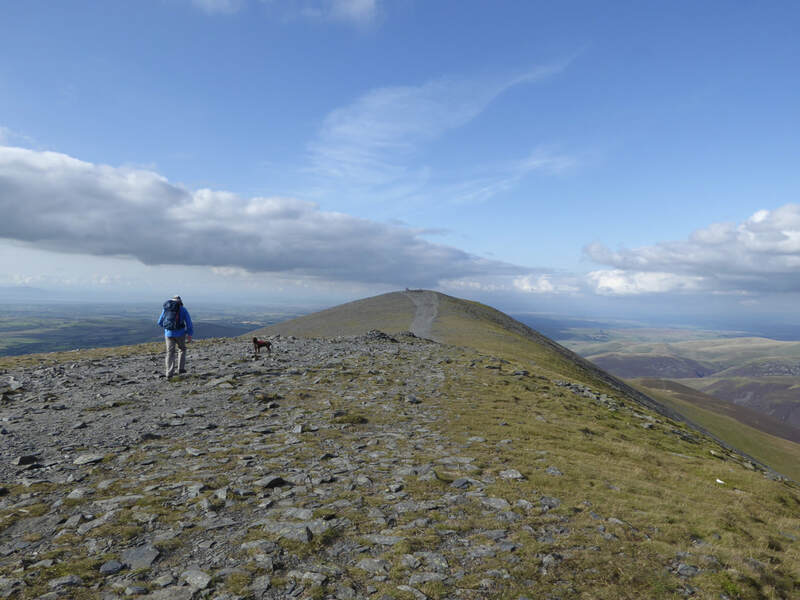 Skiddaw is a popular mountain and gets busy unfortunately - we did not get up on the summit until 1700 therefore had it to ourselves. 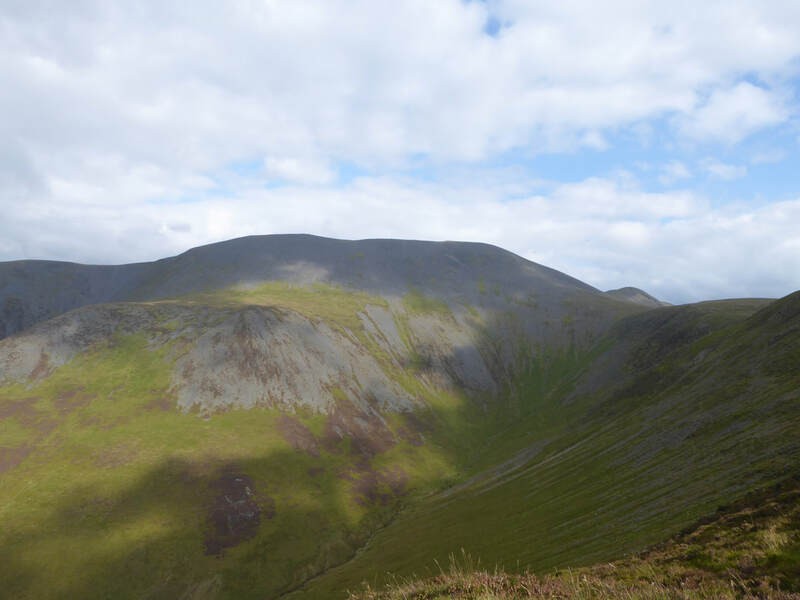 The head of Southerdale and our first view of a brightening Skiddaw with Little Man poking his head out to the right. 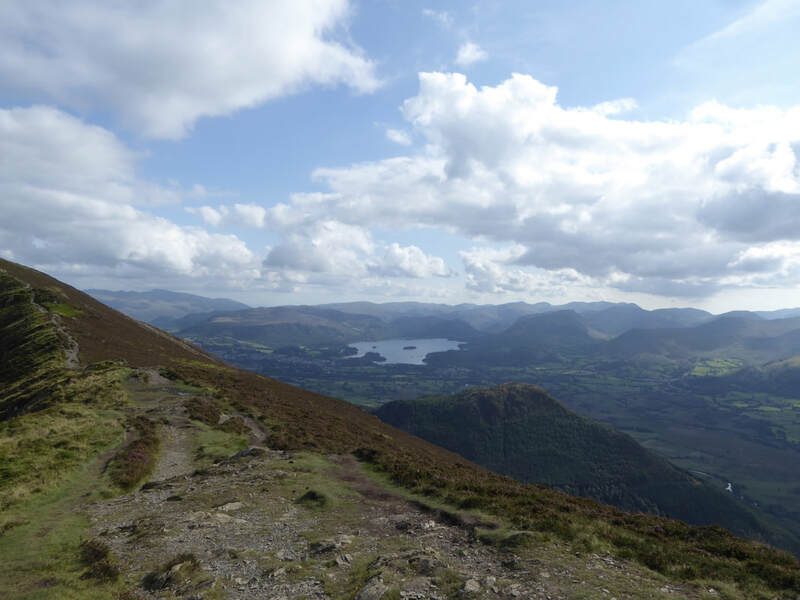 ​Randel Crag is in the foreground. 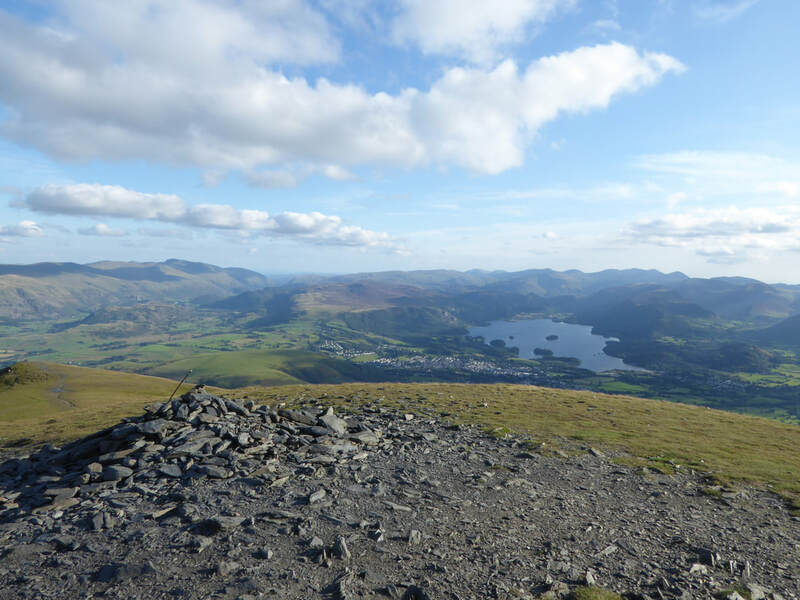 On Ullock Pike's summit - Dodd is the fell in the foreground with Derwent Water in the distance. 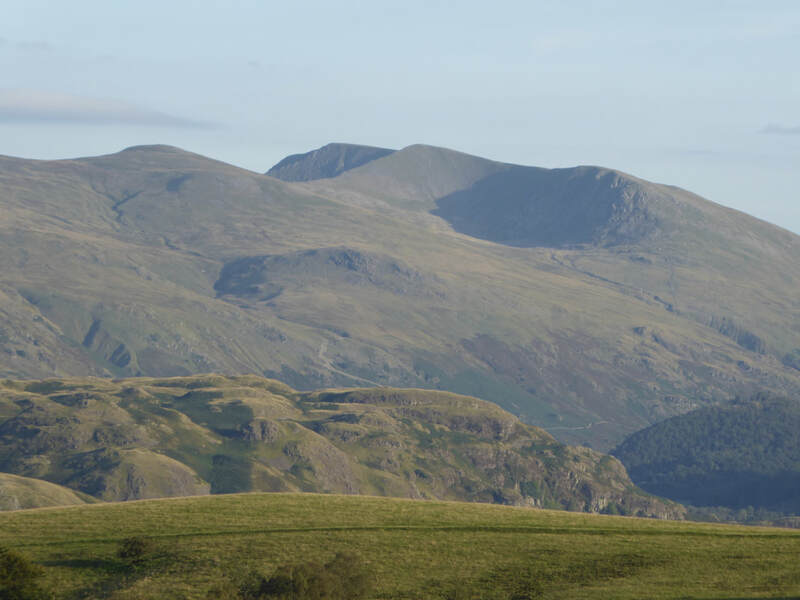 Just look at all those fells. 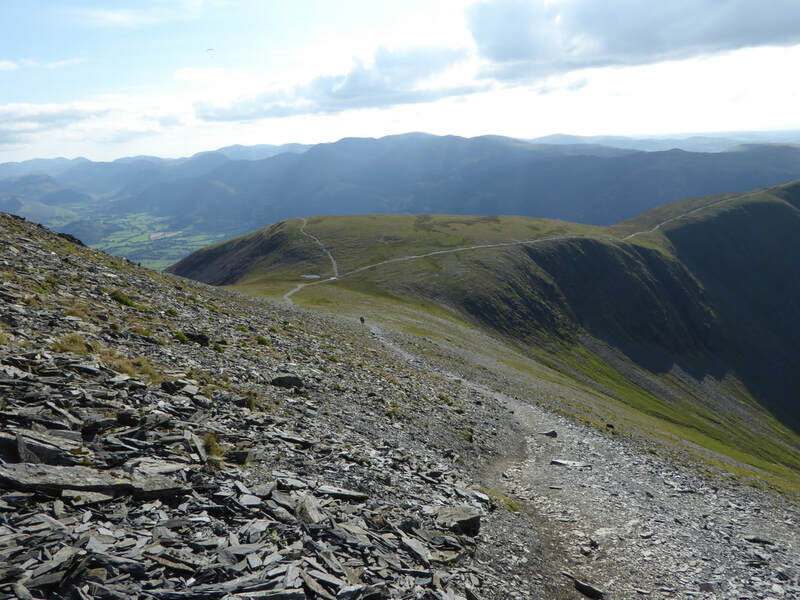 Zooming in on Skiddaw - our path of ascent can clearly be seen making its way from right to left. 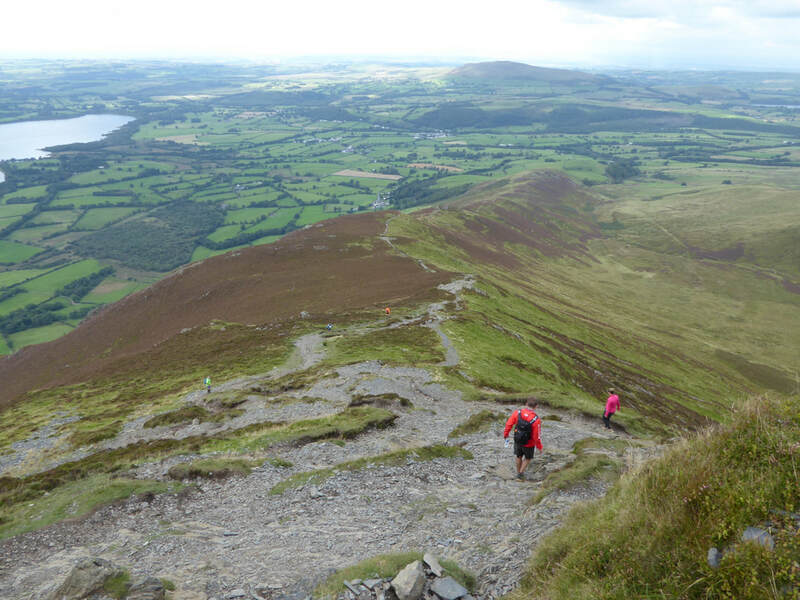 After a while the path surface both loosens and steepens. 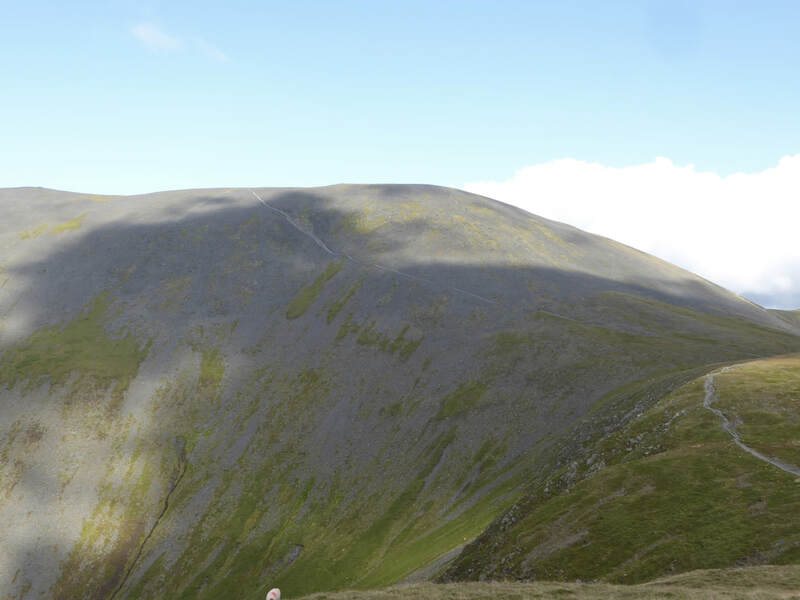 The last 200 yards would be testing in the wet, ice or snow. 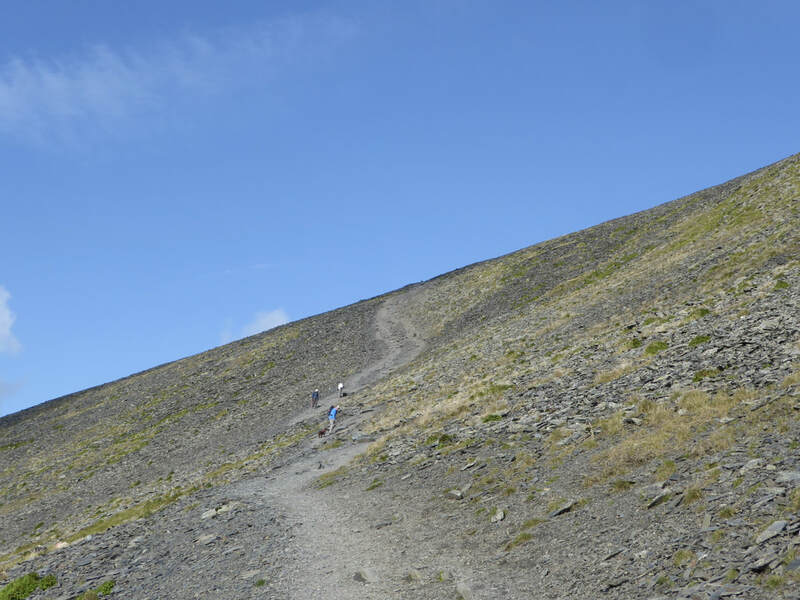 The route loses some height to drop into a col before rising again to reach Little Man. 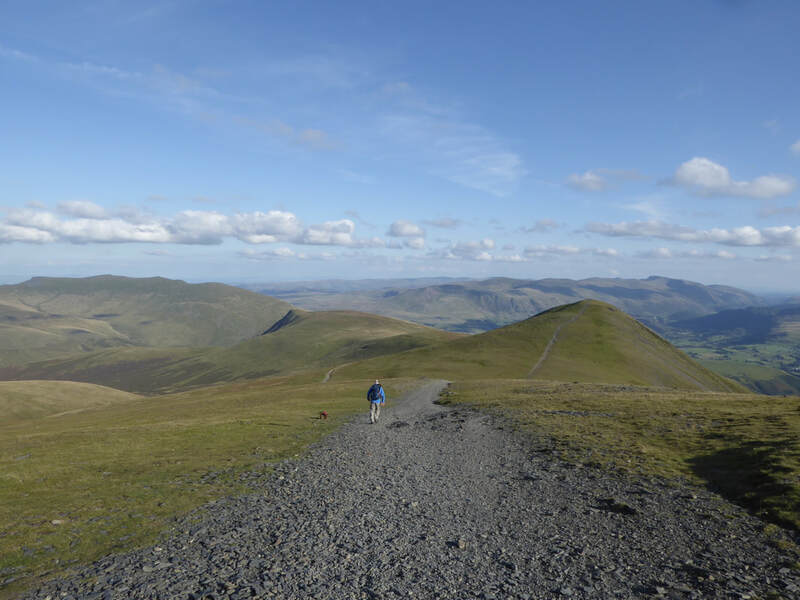 ​There is a path to the west which contours Little Man if you want to avoid another summit - but why miss out? 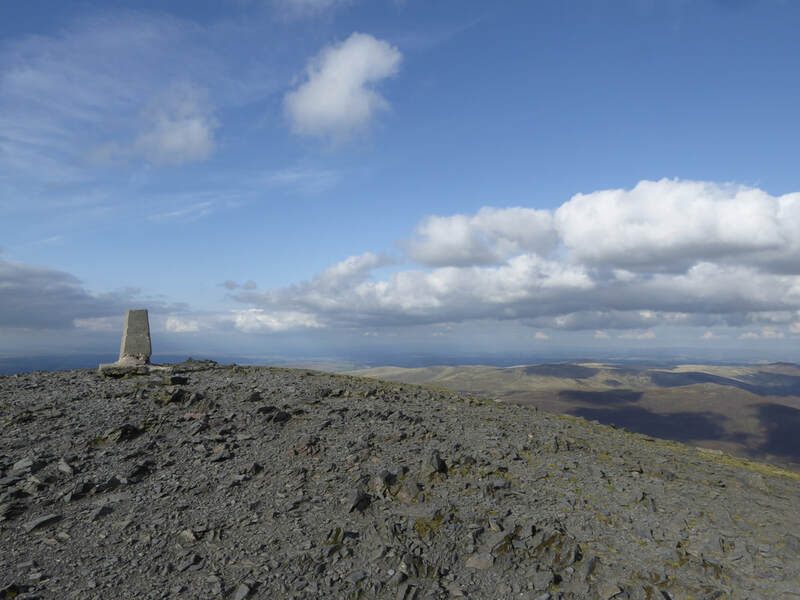 The summit of Skiddaw Little Man - just look at that view.